Marketplace. Not only that, it also synchronizes the inventory, price, and other product details between the Prestashop store and ManoMano Marketplace. If you’re a merchant who deals in DIY products, then ManoMano is a platform that can prove to be your key to success. To help you sell on ManoMano, CedCommerce brings to you the perfect solution. 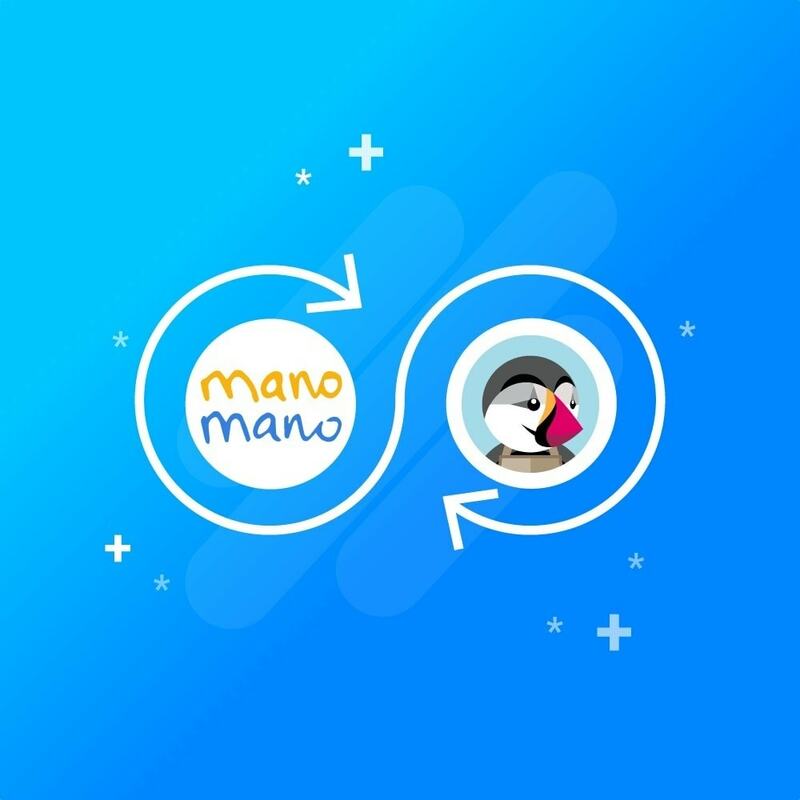 Founded in 2013, ManoMano is an online DIY marketplace that connects people directly to home improvement and gardening merchants. The business has 1.9 million customers across Europe and has 1.2 million products listed on its platform. It sells everything from sheds to cleaning tools. The company operates in six countries across Europe including the UK, where it launched 18 months ago. It has racked up sales of £9 million in Britain since then. This online DIY marketplace has also raised €60 million (£54.6 million) to fuel expansion across Europe, with Britain being one of the top markets in its sights. And to assist you to sell on this marketplace, CedCommerce brings to you the ManoMano Prestashop Integration that will not only help you sell on ManoMano conveniently but will also render features that will make your business stand out. Price: Real-time synchronization of Price for every product between your Prestashop store and ManoMano marketplace. If you are facing any issue during module installation, configuration or using it you can contact us we will update you with a solution as soon as possible for free. ✔ Free support. If you are having problems while using our module, contact us and we’ll help you. ✔ Are you having problems with the installation? Contact us and we’ll solve the problem. ✔ Help while installing and configuring: if you’re having doubts about installing or configuring our module, contact us and our team will help you for free. ✔ If need some customization in the module, we can customize the module for you, please contact us and tell us how would you like the module to be but this would be chargeable on them. Update Product Specific brand, manufacturer for ManoMano Products. Add Product specific price rule to increase/decrease actual product price before upload in manomano feed.